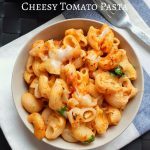 Cheesy Tomato Pasta Indian Style recipe with step by step instructions and a video for your easy understanding. 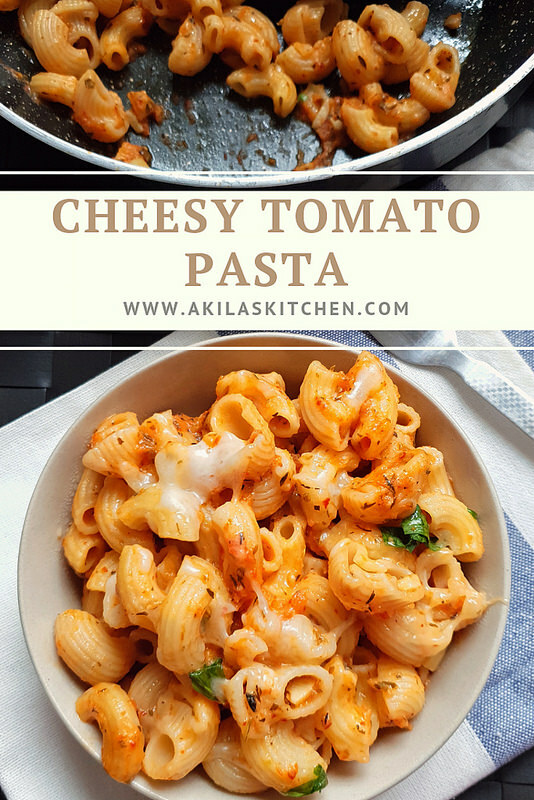 Cheesy Tomato Pasta Indian Style recipe is very easy to make and can be prepared in just 15 to 20 minutes. 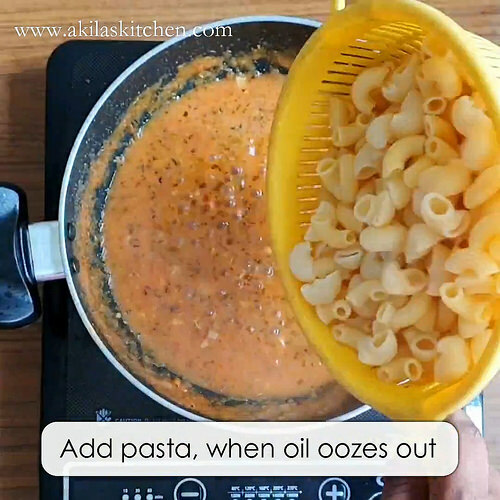 While the pasta is cooking, you can prepare the sauce side by side and it makes your job more easy. 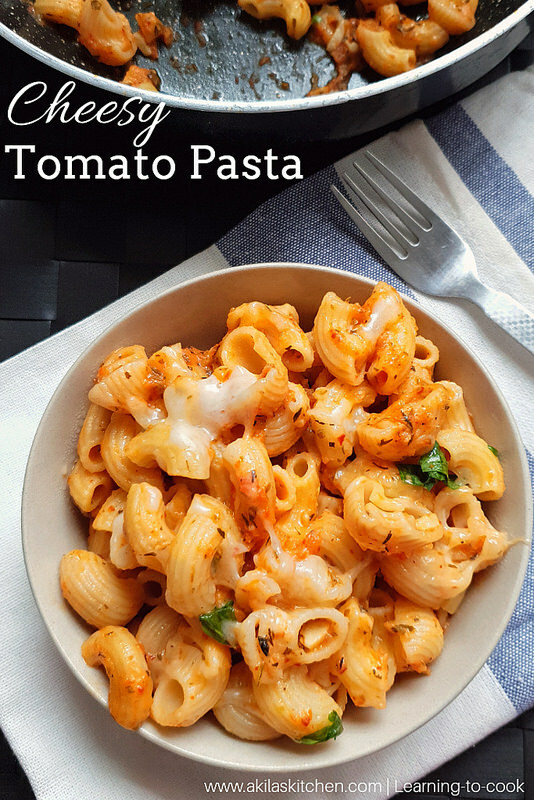 As my kids started asking for different pastas, I am trying different pasta recipes now a days and you can see more and more pasta recipes in coming days. 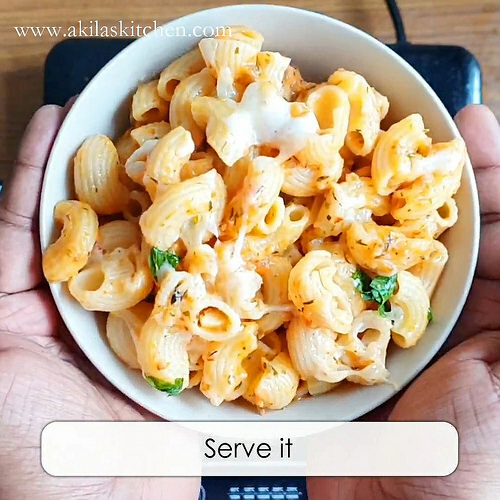 This cheesy tomato pasta india style recipe you can make in both spicy version and non spicy version just by reducing the number of chillies and adding cream or milk to the pasta. 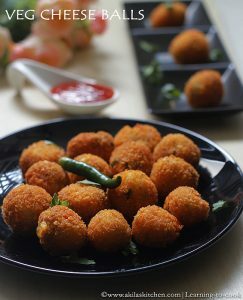 Avoid milk and increase chillies to make a spicier version. 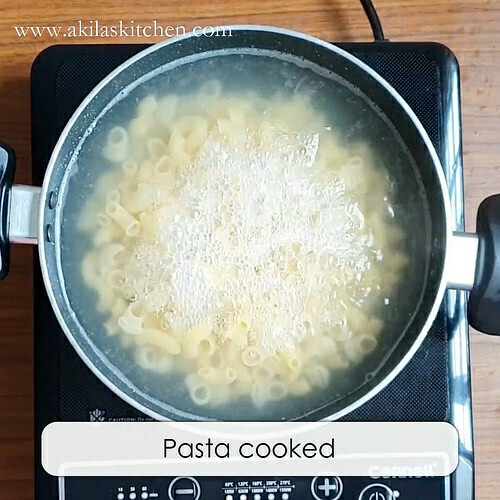 Cook the pasta as per the instructions in the packet. In a large pan add enough water. When the water started to boil add salt and pasta. 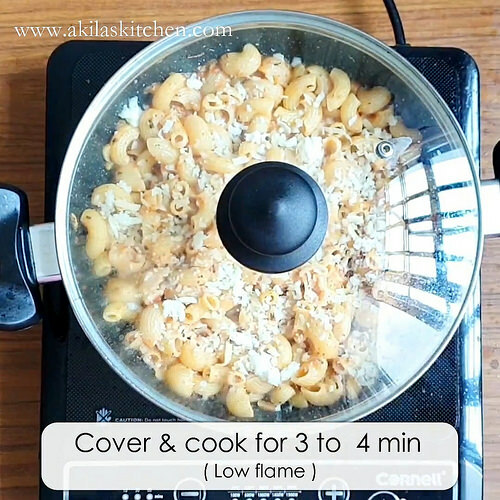 Cover and cook the pasta. Once the pasta is cooked, filter the water and keep it aside. Now when the pasta is cooking you can prepare the tomato sauce meanwhile. 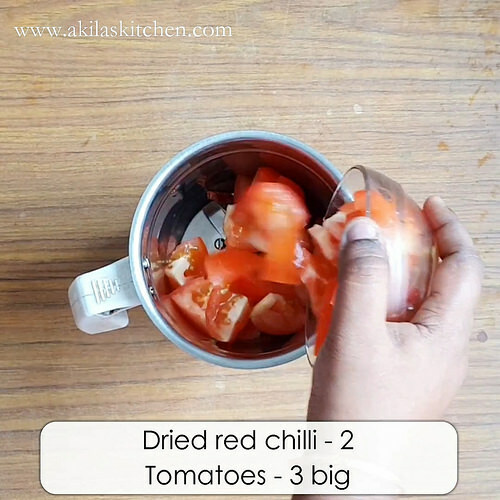 In a food processor add dried red chilies and tomato and make a smooth paste by adding a little water. Keep this tomato sauce aside. Now in a heavy bottom pan add olive oil. Once oil is hot add the chopped garlic cloves and also the herbs. 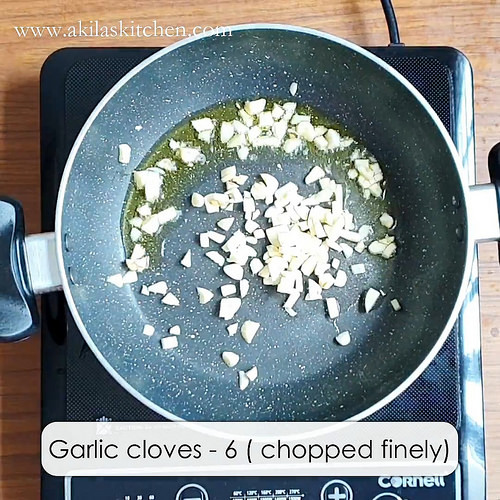 Saute the garlic cloves for a minute and add the prepared tomato sauce now. 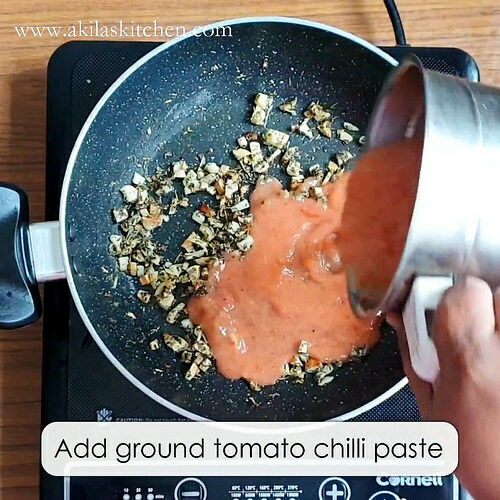 Let the tomato sauce cook well. Add Sugar and salt and mix them nicely. 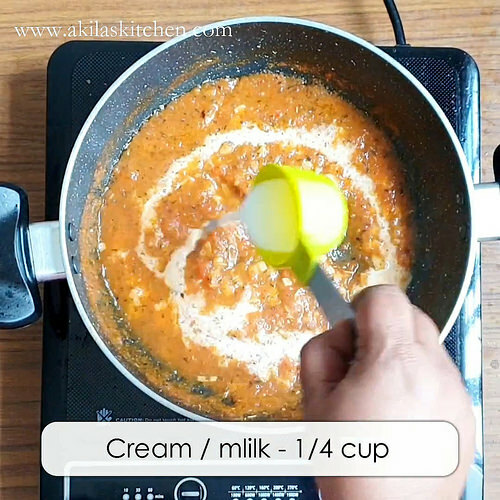 When the tomato sauce starts to thicken add the cream or milk. 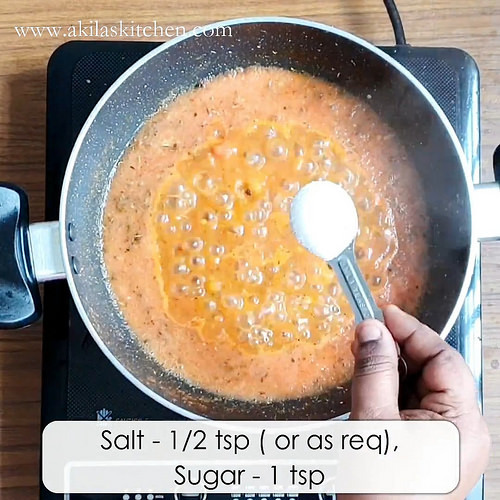 Add the cooked pasta now and mix them. Allow them to cook in the tomato sauce for a couple of minutes. Add in the cheese and cover and cook the pasta for another couple of minutes. 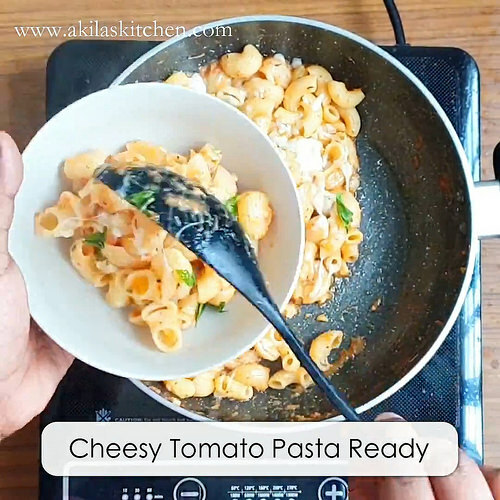 Now Add some parsley leaves and serve the cheesy tomato pasta india style in a bowl. 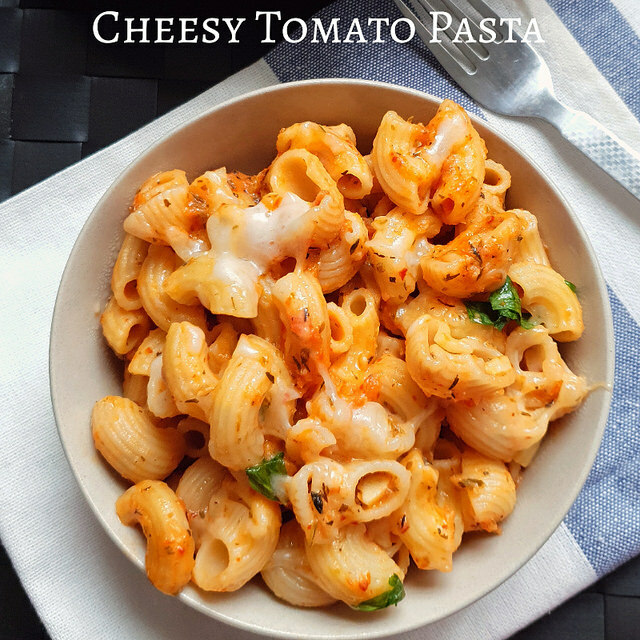 Yummy cheesy tomato pasta india style is ready. In a large pan add enough water. When the water started to boil add salt and pasta. Now in a heavy bottom pan add olive oil. Once oil is hot add the chopped garlic cloves and also the herbs. 1. If you don’t get pasta cheese, you can use normal cheese too. 2. I love oregano flavour, so I have added them separately also. 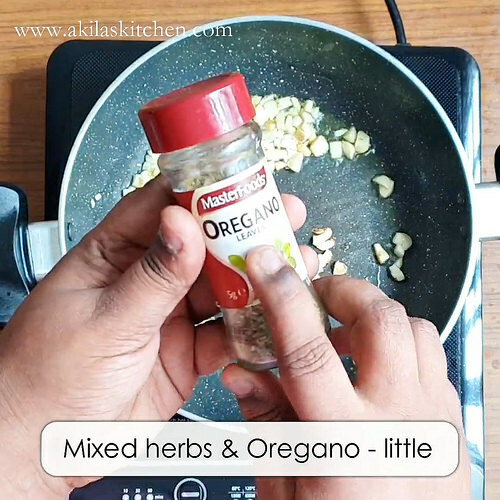 You can just add mixed herbs alone, as it also contains oregano. 3. 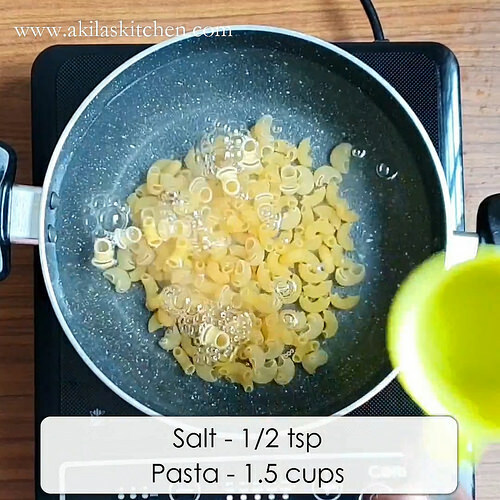 Try to add cream, as it gives silky creamy texture for the pasta. As I don’t have cream that time, I added milk instead. If adding milk, try to add full cream milk. 4. 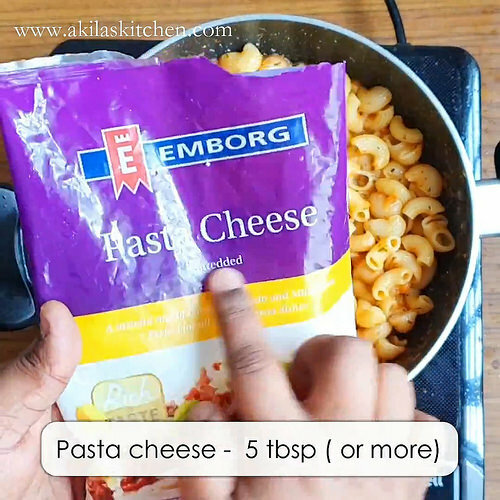 Do not reduce the cheese quantity, as it give great taste to this pasta recipe. If you want, you can.add more also. 5. Try to eat this pasta when it is hot, as it tastes great when taken hot.